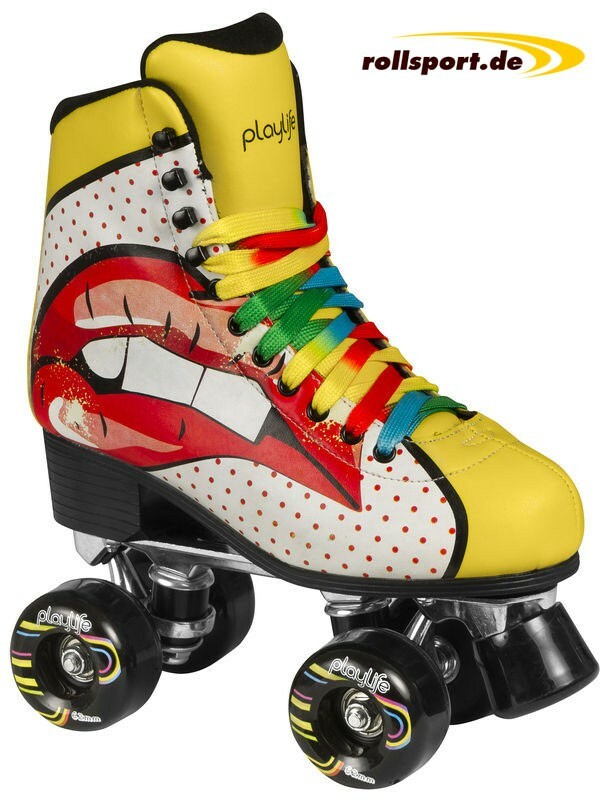 Powerslide Blondie Roller Skates - with super cool blonde Design, 62mm x 38mm wheel size, Alu frame, like an Pu-leather upper material. This women roller skates has a super cool design with a picture of a blondee on the inside and a lady's mouth on the outside. The Powerslide Blondie Rollerskate has a roll size of 62mm, as well as a roll width of 38mm and an Abec 5 ball bearing.